I have done the research. Whether you agree with me or not.. if it is true in entirety or in part …we have much to fear. I am in a difficult situation. All my life I’ve tried to eat right. Now because I had Beriatric bypass surgery, I can’t get the nutrients from food that I need. One of the side effects of this is gallbladder blockage, which they didn’t tell me would happen. Now they want to take out my gallbladder which would further compromise my body’s ability to get the nutrient it needs from food. It is a recipe for cancer and Alzheimer’s. The alternative is a quick painful death that could happen anytime if I opt to keep my gallbladder…………. Do Not Get Gastric bypass surgery unless you understand the risks! In my case, death is a poor man’s doctor. The entire us population are used as cash cows for the government by way of chemical and pharmaceutical companies, which is why individual doctors don’t fight for their patient doctor confidentiality rights . it is also why so many doctors are now dropping out of the medical profession. It is why i dropped out 40 years ago. I never thought it would go this far. This is beyond becoming a jaded doctor. This is what once was a noble profession and now morphed into cartel puppets who’s strings are pulled by a majority of congress who either worked for or owned stock in pharmaceutical and chemical companies. It will take centuries to undo this corruption. In the mean time I and my children and grandchildren will be sacrificial cows to these industries and this government. If you are a doctor then you might want to take steps to protect your children and loved ones. Do you know how? The evil you do lives on beyond you. There are no medical advocate that I know of who are fighting this corruption. Instead of trying to fight, they are opting to drop out of a broken profession. Maybe you don’t see the picture here. 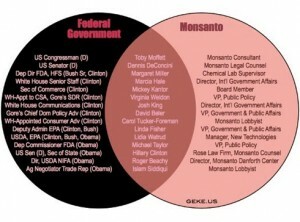 Monsanto poisons entire countries and its food sources, then when the populace becomes sick the doctors and big pharmaceuticals companies step in to create patient factories where people are ‘treated’ to become long term patients totally reliant on the drugs to sustain their diseases as long as possible to garner as much money as possible to consistently line the pocket of a government whos congress owns stock in the chemical companies who poison its people so doctor can ‘treat’ what ails them. EXAMPLE: Why cure cancer when there so much money to be made by keeping people perpetually sick with killer cures that keep people sick? What a well oil machine this is. Every time you eat or drink you are either feeding a disease or fighting it. Good people disobey bad laws. There doesn’t seem to be any left is the medical profession. Note: Say out of Hospitals…you will go in whole, but come out a lifelong patient. They are nothing but patient factories.